★★★★★ Dyson makes a quality product, that is both effective and reliable. I found the unit I bought to be very reasonably priced as well. 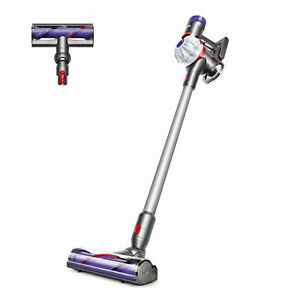 ★★★★★ This Dyson v7 works better than my older 35lb Dyson that wasn’t cordless. The suction is very strong, it grips to surfaces extremely well, and surprisingly I have not ran out of battery yet in a single charge and I have cleaned practically my entire house in one use.